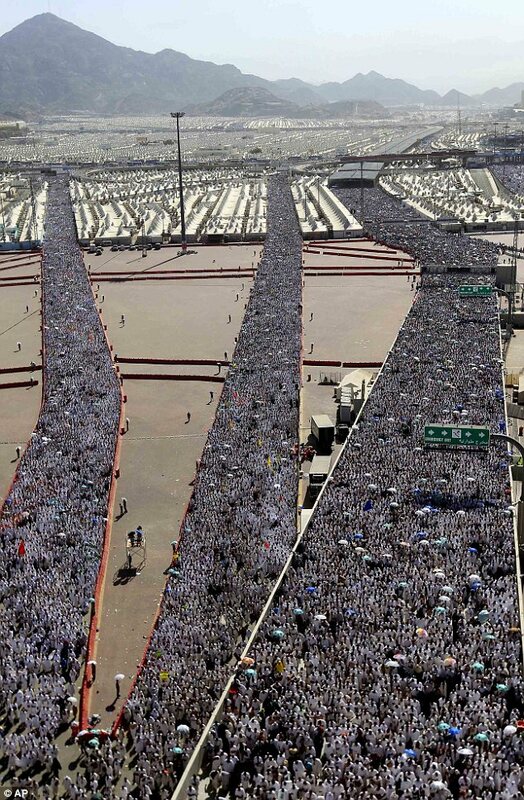 More than three million Muslim pilgrims today symbolically stoned Satan in a valley near the Saudi Arabian holy city of Mina – part of the last, and most dangerous, rite of the annual hajj. In the past years the sheer number of people swirling around the pillars has led to stampedes – with 244 people killed in 2004 and 360 fatally injured the following year. 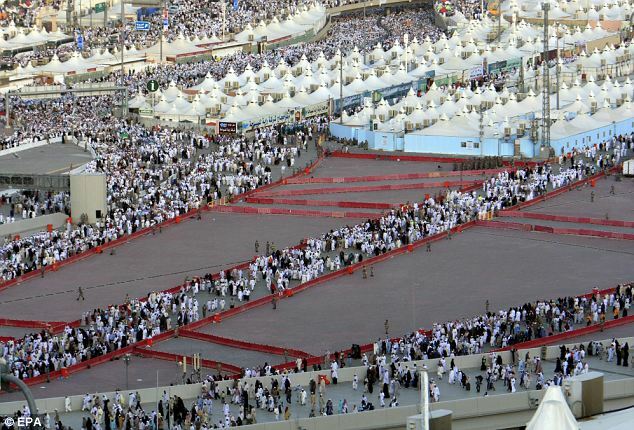 Saudi authorities subsequently built the current concrete complex to reduce the danger, and have so far not reported any injuries from 2011 event. Vast crowds cast pebbles as they flowed past the three pillars, on the same day as the start of the Islamic holiday of Eid al-Adha. The ritual in the desert valley commemorates Abraham’s stoning of Satan, who is said to have appeared three times to the prophet to tempt him. Male pilgrims in two-piece seamless white robes, and women covered head to foot except for their hands and faces, chanted “God is great” while casting the pebbles. Pilgrims later shaved their heads or clipped off a lock of hair, a tradition dating back to the Prophet Muhammad’s own pilgrimage. The pilgrims are also required to slaughter a lamb or goat, representing the lamb that Abraham sacrificed in the place of his son Ishmael. They are allowed to arrange for this to be done in a different location or in their own countries. Today also marks the start of Eid al-Adha, in remembrance of Abraham’s near-sacrifice of his son. The five-day pilgrimage is packed with symbolism and ritual. It is aimed at cleansing the soul of sin and winning absolution by tracing the footsteps of the Prophet Muhammad and of Abraham, whom Muslims view as a forefather of Islam. Libyans who have long been denied the opportunity to make the hajj were reportedly in attendance at this year’s pilgrimage. The privilege was usually only reserved for Muammar Gaddafi’s cronies.